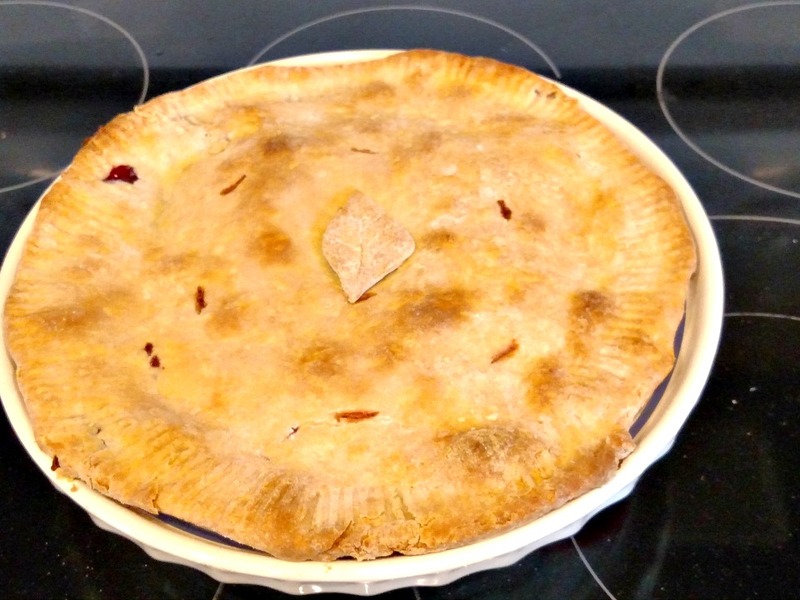 When I was in my early 20s, and my girls were wee ones, my sweet friend, Jan, taught me how to make a pie. I'd had her pies at our small group, and various other occasions, and they were wonderful. She was like a big sister to me, so one day she had me over with my girls, and I learned how to bake an apple pie! Miracle of miracles, it came out amazing. Beginners luck, eh? Turned out, I could consistently make good pie crusts! I couldn't believe I had done so well to make the pies! She was such an encouragement to me. She even had me convinced I could sell them to people. Don't think I didn't give a good long thought to it. Of course, I didn't think anyone would pay money for a homemade pie. Guess I should've considered it a bit more! As I got older, I started collecting items that made pie making more enjoyable. 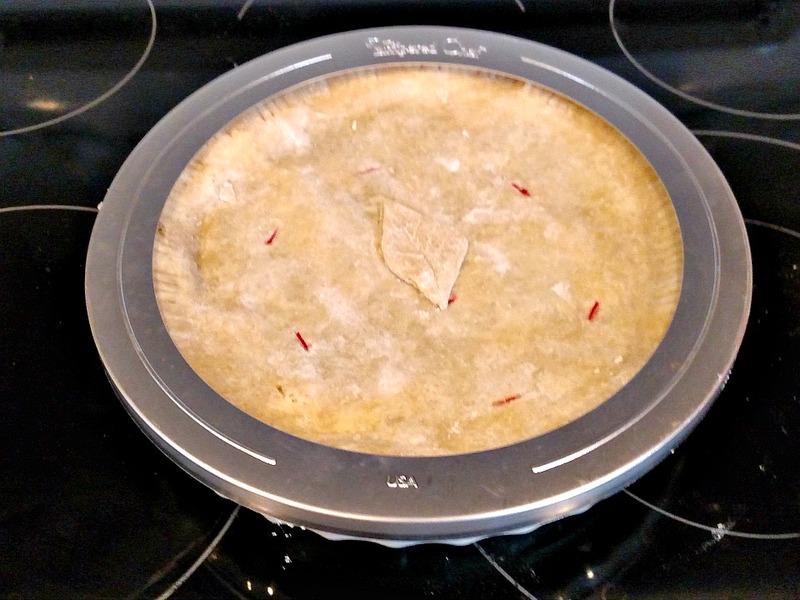 I had a Pampered Chef party, and bought a pie shield and pie server. So long tin foil lining and forks for removing a piece of pie. I had a rolling pin, but the ends kept coming out. I had never really looked into getting a newer one. When my girls were old enough, I taught them how to bake pies so they could enter them in the County Fair. They got some great ribbons with their pies! It was so wonderful to pass that skill onto my girls. To watch them bake pies made my heart happy. I hope when they have little girls they'll pass on their skill of baking pies. Now that I'm in the new house, I can FINALLY bake again! It's been almost 2 1/2 yrs. As I was looking for a new rolling pin. It was time for me to get one that would be around for a long time, and maybe even be one I could pass down to one of my grandchildren. I reached out to Vermont Rolling Pins, a made in America company, to ask if I could review one of their rolling pins. If you're a baker, or a baker at heart, you will melt when you see their rolling pins. 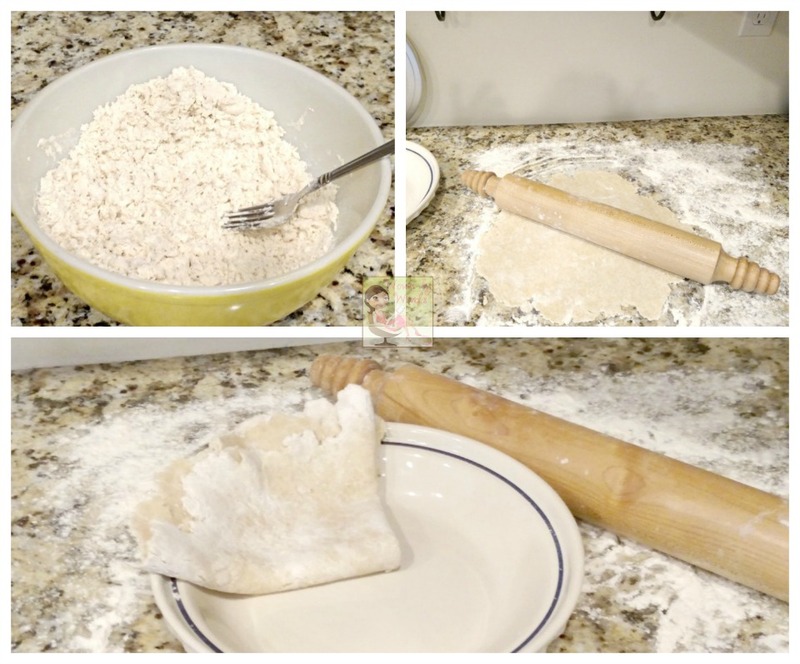 Is it possible that something as simple as a rolling pin could make you long for a new kitchen? I can wholeheartedly say, "Yes!" Ok, so maybe not a new kitchen entirely, but to redecorate it so I could have a wall for rolling pins. Plural. 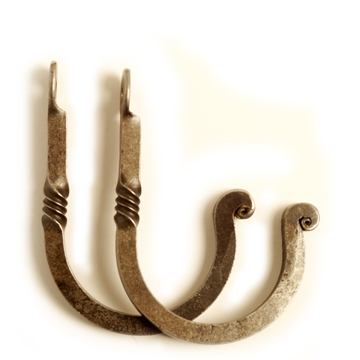 I decided that the Beehive was too beautiful to stick in a drawer, so I bought the hand forged hooks as well. I knew I couldn't display it like I wanted, it would have to go under a cupboard, but it had to bee seen. It's that gorgeous. Once we have our peninsula installed (hint, hint honey) I plan to hang a column of rolling pins! That way they become heirlooms that can be given to my one day grand babies! To go back to baking pies, wasn't as easy as I had hoped. One of the things Jan taught me is dough can be finicky. The weather/humidity can affect the dough. 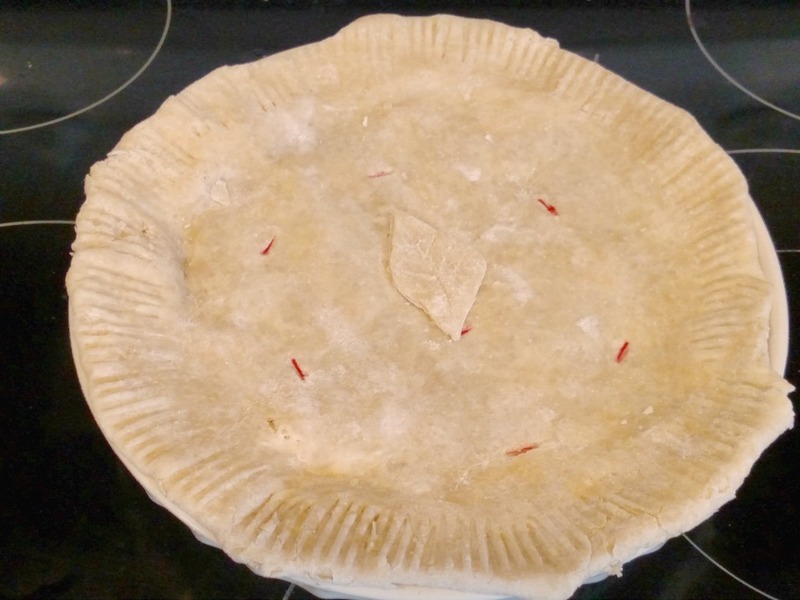 Today, when I was making my pie, for the life of me, I could NOT get the flour/salt mix to hold any moisture. I definitely added too much water, but if I hadn't I wouldn't have been able to make doubt balls for the crust. GAH! There was no happy medium. I could also tell as I was rolling out the dough, that it was way too stiff. Thankfully, the Beehive has a great weight to it, and I was able to roll it out. It wasn't easy to say the least. It's clear I'm going to need to work on my crust making skills. Since I hadn't been to the grocery store recently, the only fruit I had lying around were frozen strawberries and raspberries. They had to do. lol Oh, and I must've left my dough sheet back in Minnesota. I was disappointed I wasn't able to find it. I'll have to get a new one, although most of the time I just used flour on the counter. Mixing the berries together made me think of all the pies I used to make back when the girls were young. I loved taking them to the berry farm, picking raspberries, and making pies. Those were some very special days. I hope we can find somewhere to pick berries around here! Heck, I'm hoping my raspberry bush that we brought from MN will grow. Guess who isn't holding her breath? The best part of baking a pie, aside from eating it when it's finished, is the house smelling like something yummy is baking! I was so anxious to see how it was going to turn out! It looks great, but have to be honest and tell you the crust is too hard, much like I expected it would be. I'm used to my crusts being flakier. And I mean golden, buttery flakey. I guess that just means I have to keep trying. I think my next pie will be apple. We have a group of young adults coming over on Thursday, so I'll have to try it again. Like I said earlier, I bought the hand forged hooks and I also got the bee oil to take care of it. See, I wasn't kidding when I said I want this to be an heirloom! 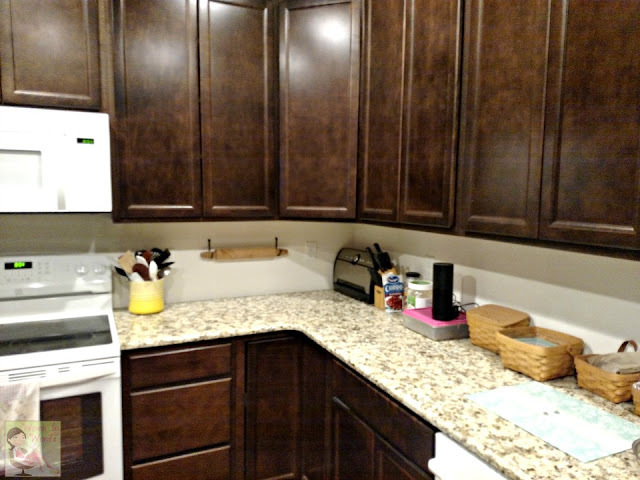 Vermont Rolling Pins also has a countertop stand, and there are a couple other options of displaying them vertically. One of my favorite elements of their rolling pins is the option of personalizing them! YES you can do that. It's totally a thing! Imagine giving it as a gift! It's a special feature that only leaves a hint of the personalization. I'd actually like to get my next one...probably the Monster, to have the name Noble Est 2015, on it! They're not limited to rolling pins! They have serving tools, rolling pins for children (still rolling pins, I know), and a pasta roller. There's even pizza tools! Now that you've been introduced to them, it's time to follow them, and enter my giveaway tomorrow! Check them out on Facebook and Instagram. What do you have that you consider an heirloom? First off that pie looks yummy! Plus I adore the rolling pin. It looks like a piece of art. I have some of my Nana's vintage Le Crueset baking dishes and I definitely consider them to be an heirloom. I use them all the time and will pass them on to my own kids someday. I have an heirloom toaster - which I know sounds weird - but my grandparents received it as a gift at their wedding in the 1940s and IT STILL WORKS. We use it all the time! Even when it quits working, I'll likely never throw it away! It is a classic. So sweet. Look delicious for sure too! My neighbor makes the best strawberry pie. 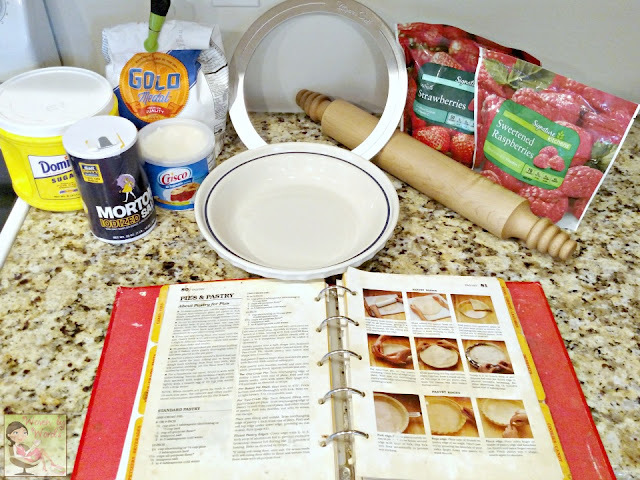 Good tools are definitely a must, I used to see Pampered Chef and love a lot of their items! How wonderful to pass on that skill to your girls. It is one that will carry with them. I love the idea of a personalized rolling pin. Would make a great gift! My heirloom is some pans from my late mother in law. I still use those pans, I feel great everytime I realize I inherit valuable things from her, her pans (she loved cooking). I cooked with my mother when I was younger and pie crusts seemed to be my forte. My mom would even have me make the pie crusts instead of her because she liked them so much. How neat to want to display your rolling pin collection, a unique and practical display. I am a horrible pie baker, even the tin foil version and premade crusts come out sketchy. It's a culinary art I have yet to perfect. I hope you will linkup with our Small Victories Sunday Linkup going on all week long. Your kitchen is beautiful and that pie looks delicious! 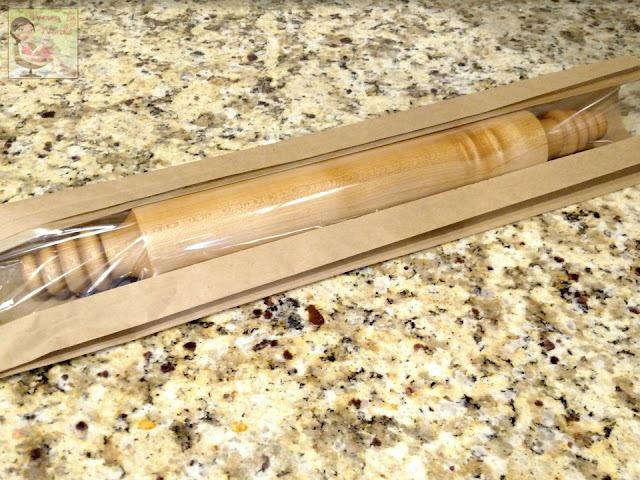 A personalized rolling pin with those beautiful hooks would make an amazing wedding gift! My husband is the pie maker in our house. Everyone is so excited when he brings over a pie! I love pie. This one looks so good. I love baking with my daughter. I don't have anything passed down but even a recipe would be really special. I LOVE HOW you have that rolling pin on display. My favorite heirloom is my husbands great grandmas waffle iron. It is a thing of beauty, and it still works great after almost 80 years! I don't really have anything that I consider an heirloom per se but I'm a sucker for a good rolling pin. I will have to check out this line. BTW that pie looks absolutely delish! I have quite a few heirlooms of my grandmother's, including her wooden rolling pin! Wow! That is a gorgeous rolling pin. 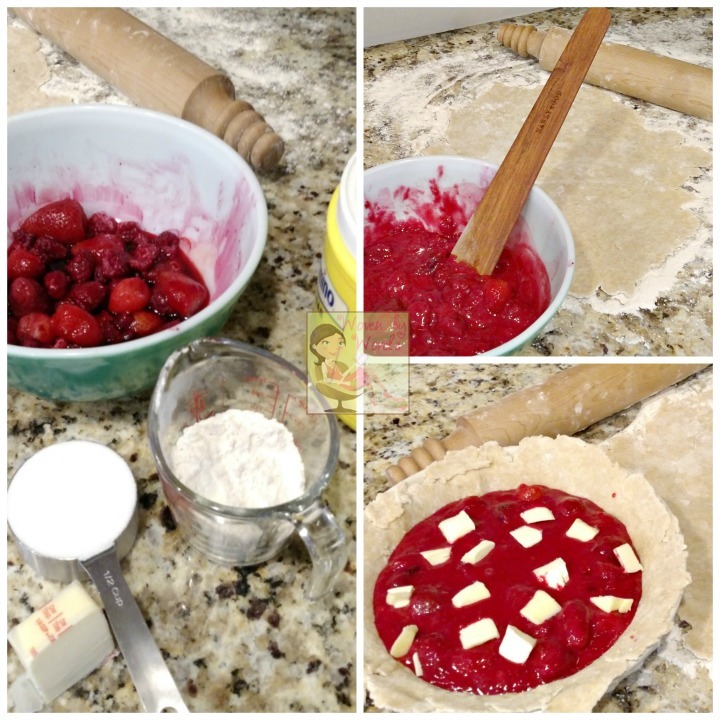 I love this gorgeous pie and your story! This is so neat love bow they were passed down . I have one rolling pin but want more. I have a couple of baking dishes and mixing bowls from my grandmother, who has passed away, that I absolutely treasure and would consider an heirloom. I take extra care with them and can't wait to pass them down to future generations some day! So happy to hear that you are baking again. Your kitchen looks nice and spacious - happy baking! That pie looks tasty! I love baking but have never mastered using a rolling pin- this one is beautiful and heirloom worthy. I've never heard of passing down rolling pins before. Seems like a beautiful tradition to have with your family. The pies look amazing. Your counter tops are such a gorgeous color palette. I bet most the desserts you photograph on them look spectacular. I would enjoy a piece of that pie. I really need a good rolling pin before I attempt that. I love that you can personalize the pin also. That is a beautiful rolling pin! I have spent probably and hour looking thru their website and it is hard to choose which I like best. One of these is on my wish list now. these sounds like great products. I would love to try them in my home. 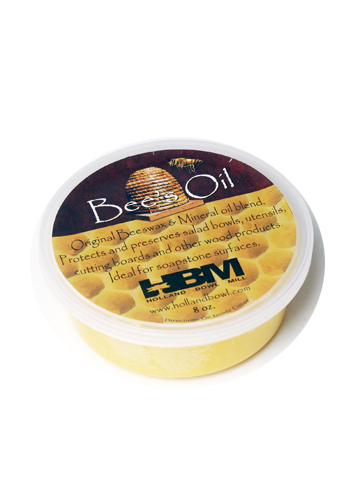 I love this company and their products. I have been a fan for a few months. I have many heirloom collection. I am fortunate. From quilts, dishes, ornaments to many kitchen collections like cutting boards, Pyrex, fiesta the real deal etc. love them all. That pie looks tasty!! And the rolling pin is quite lovely.